Good day! I’m now going to post about Mega Man 3, it is one of my favorite game in the Mega Man franchise. You might ask why I liked the 3rd sequel compared to the other series… and here’s why: when we had to move to another place away from our hometown, we left our things including our precious console… but after a year, dad bought another one, so me and my siblings agreed to get the 3rd Mega Man game. I’ve been thinking about what my friend advised after he read my latest post about Bomberman and he said that it lacks a kind of “feeling” or spark. So he suggested that I add a short clip about the game to invite the viewers and get hooked into the game as well, so I added a clip and even better- I was the player! 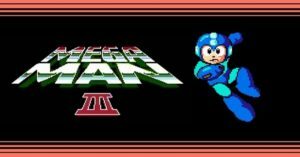 Mega Man 3, I could’ve started with the the premiere Mega Man game but I haven’t played that much cause it was released in the 80’s . I just wanted to highlight the good parts about why this game is great for me. The story of Mega Man started when Dr. Light made 6 robot masters to help humanity but his partner Dr. Wily despised him and took control over the robot masters. Knowing Wily’s plans to rule over the world, Rock/Mega asked his creator to make him a robot to fight for justice. Now known as Mega Man. The mission is to defeat each robot masters in 8 stages, every robot master has a unique ability that you can acquire once you’ve defeated them, which can be efficient because every boss has their own weakness. In this 3rd franchise of the series, a new feature is added: slide action, Mega Man can slide, pressing the down + A button gives him more moves and can also evade enemy projectiles. I always liked to play Magnet Man’s stage because of it’s cheerful background music (which i used as a ringtone) and the stage also requires memorization and timing. Here’s the video! I hope you like my “improvement” when I write.